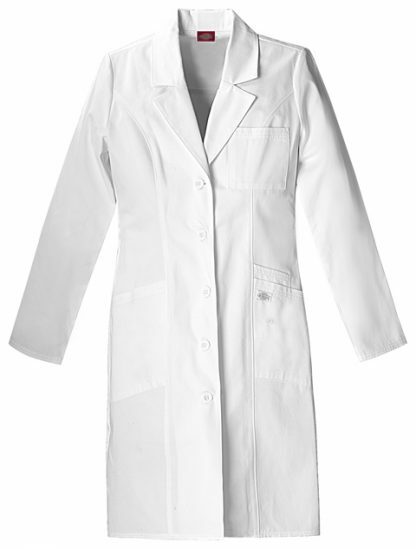 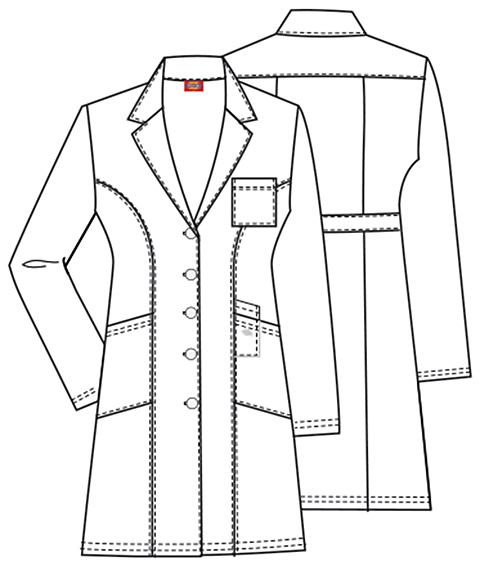 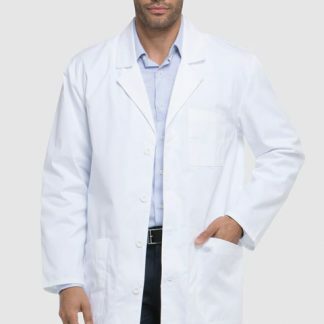 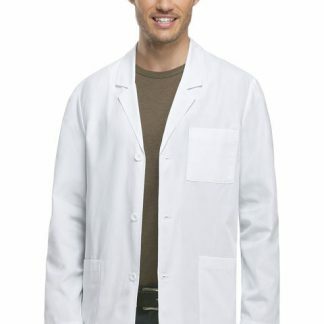 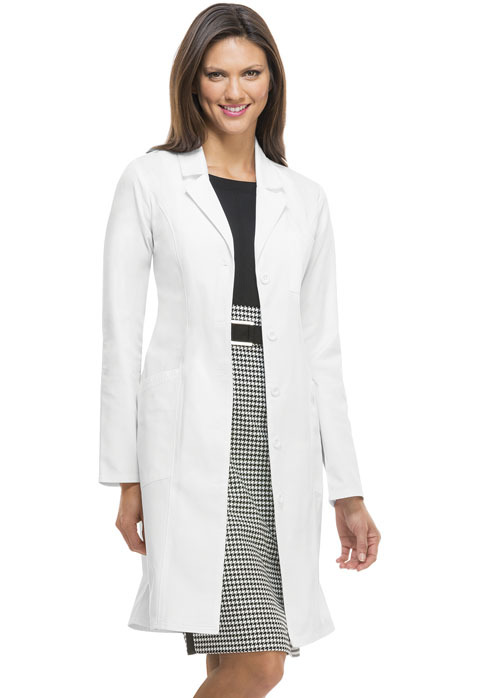 A Contemporary fit button front lab coat features a notched lapel and four patch pockets (one chest pocket, two front angled pockets and one cell phone pocket) with a hidden instrument holder inside the right pocket. Back princess seams and a back belt complete this picture. 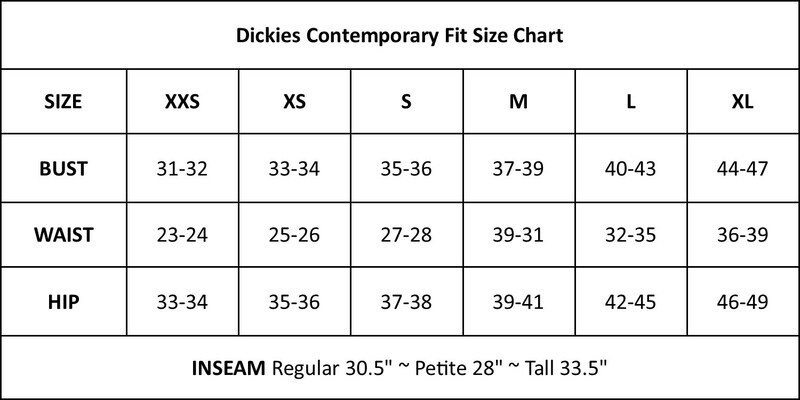 Center back length: 37″.